James Smyth was born in Milton Street, Hamilton in 1896, the middle son of Benjamin Julius Smyth and Louisa Risk. By 1903, the Smyths were living in Gray Street, two years later Learmonth Street and by 1914, in Brown Street. Benjamin Smyth was a piano tuner and a talented singer. 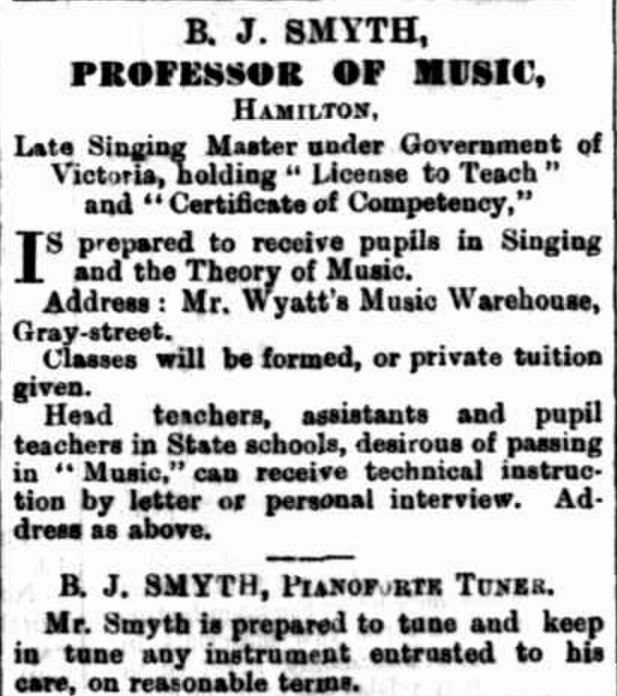 Before going to Hamilton he was a singing master with the Department of Education in Stawell and north-eastern Victoria. He started private tuition in Hamilton for singing and music theory. He also enjoyed writing, contributing to the Hamilton Spectator. “Advertising” Hamilton Spectator (Vic. : 1870 – 1918) 26 April 1892: 3. <http://nla.gov.au/nla.news-article226166140&gt;. James Smyth attended Hamilton State School. 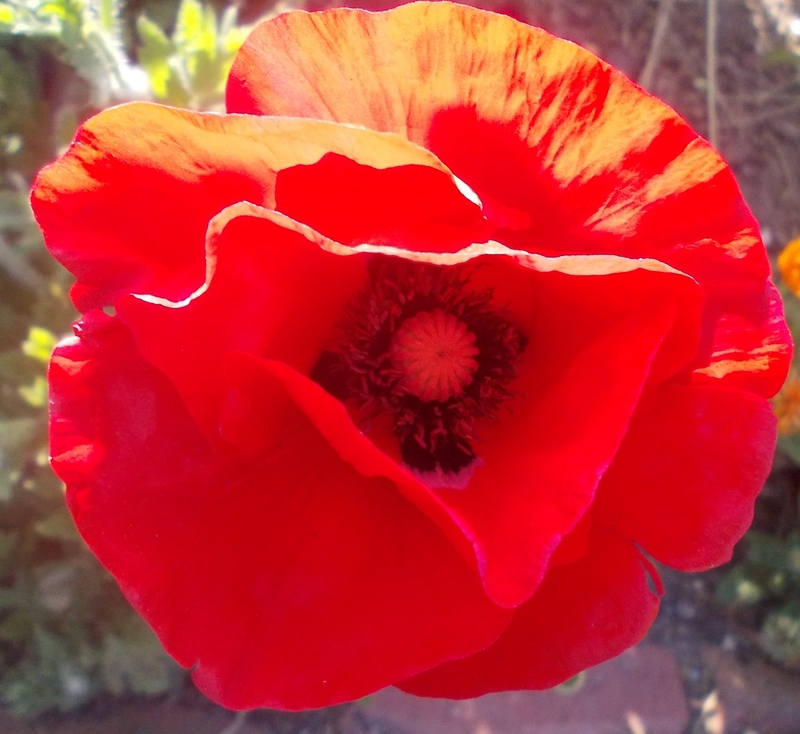 When older he worked as a labourer and joined the 20th Light Horse Regiment (LHR) in Hamilton. A month before his nineteenth birthday, James enlisted at Hamilton on 30 November 1914. He went off to camp at Broadmeadows with the 9th LHR. On 18 February 1915, James’ older brother Albert enlisted, joining the 22nd Battalion. While James was at Broadmeadows camp, on 17 April 1915, his father Benjamin Smyth died at Hamilton. On 8 May 1915, James sailed for Egypt and by 5 August 1915, the 9th LHR was at Gallipoli. Within three weeks, James fell ill and sent to hospital in Malta with pneumonia. He was then transported to hospital in England. More sadness came for the family on 20 September 1915 when James’ younger brother Brightly Leonard Smyth drowned in Hamilton’s Grange Burn. He was only ten years old. After his discharge from hospital, James was sent to the Convalescent Depot at Parhem, England. He spent 1916 in England before returning to Egypt on 11 January 1917. On his arrival, he was sent to the 3rd LHR. There must have been some concern James was infectious because within weeks he was sent to the Moascar Isolation Camp remaining there until 18 April. He was then transferred back to the 9th LHR as a signaller, arriving on the 22 April while the regiment was located at Abasan al Kabira, Palestine. In the days before, they’d been part of the Second Battle of Gaza. On 13 June 1917 while at Shellal, Egypt, James was disciplined after eating his emergency rations against orders, losing a day’s pay. 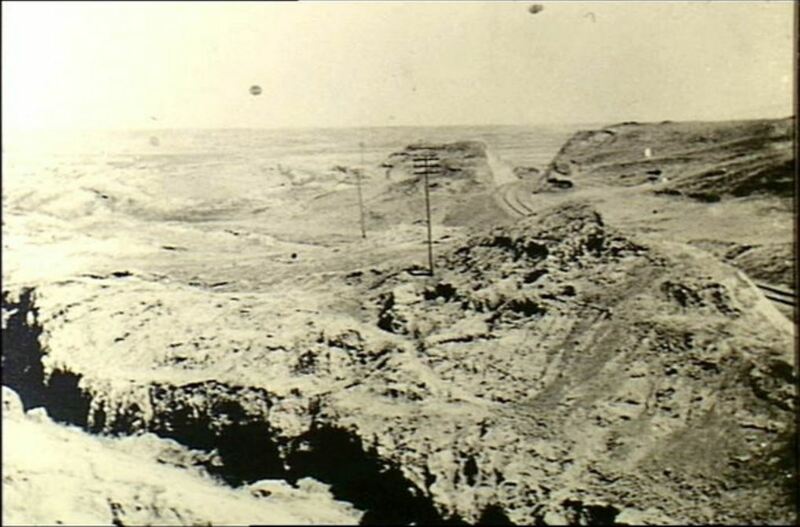 During August, James, known as”Muddy”, spent two weeks at rest camp at Port Said He returned to rest camp twice more for two weeks at a time in February and July 1918. 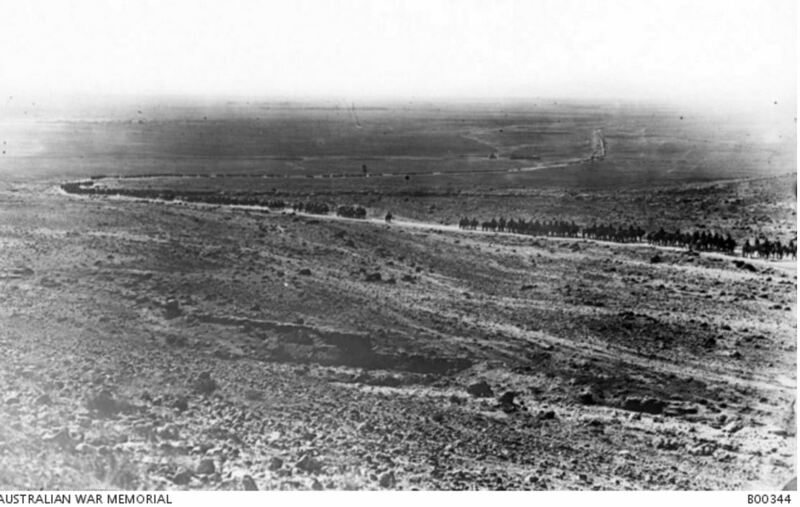 On 2 October 1918 at Khan Ayash, Syria, a column of enemy troops were seen travelling along a road close to the 9th LHR. The squadrons of the 9th LHR took up positions surrounding the enemy, ambushing them leading to their surrender and capture. There was around 2000 enemy infantry and cavalry and a large armoury. Once the situation was in control, James and fellow signaller Norman Charles Halliday of Aldgate, South Australia set off back to the regimental headquarters signal station. When just a few hundred metres away they met enemy troops consisting of one German officer and eighty-five Turkish soldiers, hiding in a wadi (valley). The officer began to mount an automatic rifle ready to fire. Without thought for their safety, James and Norman rushed the officer, seizing his pistol and firing into the group. They were then able to seize the automatic rifle. So surprised were the enemy, they surrendered immediately. As a result of their actions, James and Norman were awarded Distinguished Conduct Medals (DCM) for conspicuous gallantry, initiative and devotion to duty. 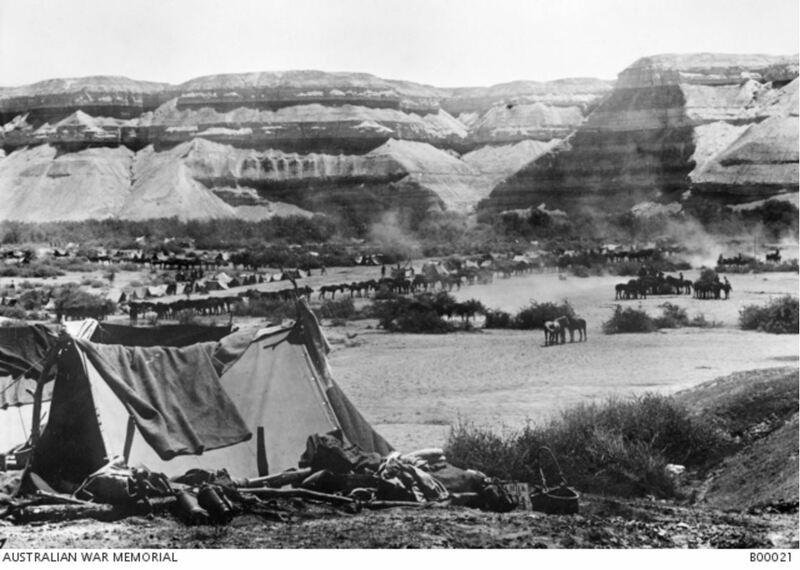 It is unlikely, James knew of his DCM because fifteen days later, on 17 October 1918, he fell sick while at Kaukab, Egypt about eleven miles from Damascus. He was taken to a nearby hospital but later transferred to an English hospital at Damascus where he died of malaria on 25 October 1918. “Family Notices” Hamilton Spectator (Vic. : 1870 – 1918) 2 November 1918: 4. <http://nla.gov.au/nla.news-article119507935&gt;. During June 1919, as other mothers were welcoming their sons home, Louisa Smyth instead received news of her son’s DCM, a small consolation. In the space of three years, Louisa had lost a husband and two sons. On 3 September 1919, her son Albert returned safely to Australia. Louisa continued living in Hamilton, residing at 12 Horner Street from the 1920s. She died in 1952. James Norman Smyth is remembered on the Hamilton War Memorial.